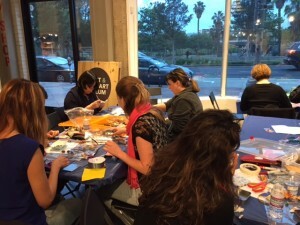 The Craft and Folk Art Museum (CAFAM) hosts Craft Nights monthly at their mid-city location across from the Los Angeles County of Art Museum (LACMA). Every first Thursday night of the month a different artist from the LA area is chosen to share a process they use with the outcome of every participate taking an object home. For the month of May I was the chosen artist to create and deliver the activity for Craft Night. This opportunity not only appealed to my artist side, but also the educator in me. My art practice is pedagogical in nature, so any chance to teach and share is always a welcomed one. 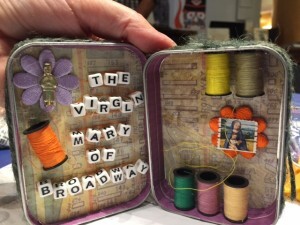 The proposed project was an assemblage box, geared toward the seasonal timing of the week of Mother’s Day. 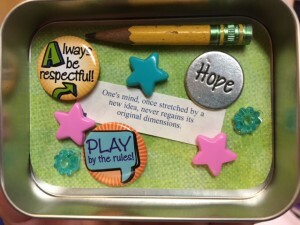 I wanted to offer participates a chance to create an inspirational assemblage either as a gift or for themselves. Having worked as an educator with children for 10 years now, I have always been inspired by the creativity and honesty of a child’s creative process. Adults typically have a harder time surrendering to this process, especially in public. This is why I was so humbled and awed by the free expression of the adults attending the CAFAM Craft Night. 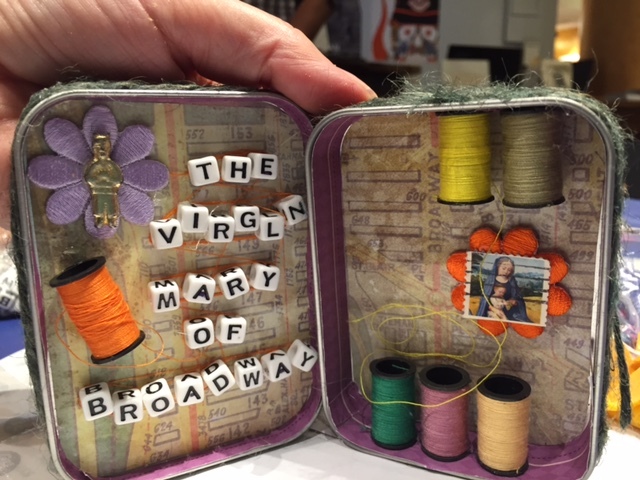 They reminded me how important the creative process is for people at any age, and I was grateful to have witnessed this as the end result for the workshop I created.